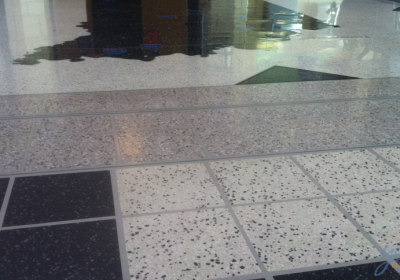 This is the Michigan City, IN Welcome Center. 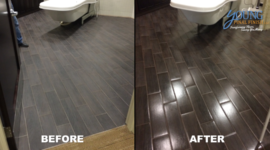 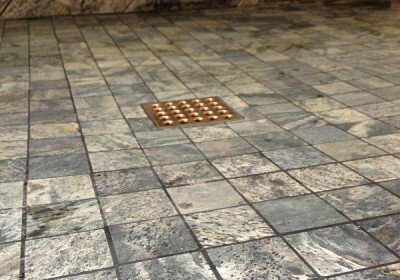 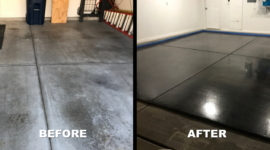 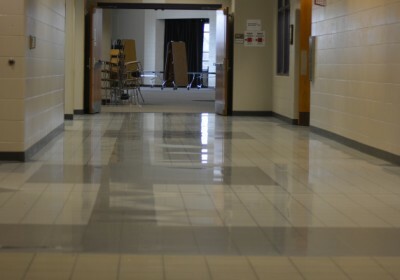 Notice we removed an old grungy floor and installed our brilliantly polished HYBRID Tile Finishing System. 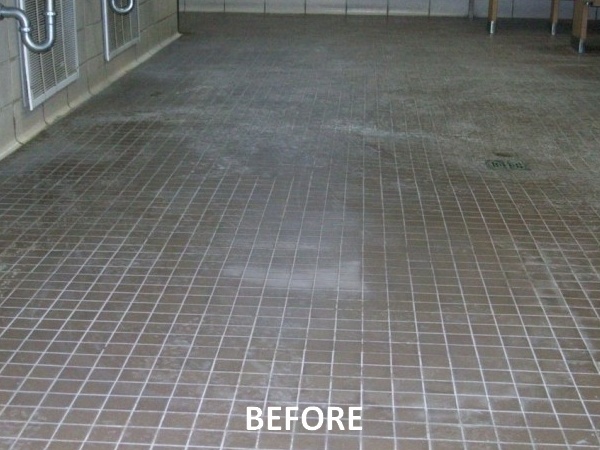 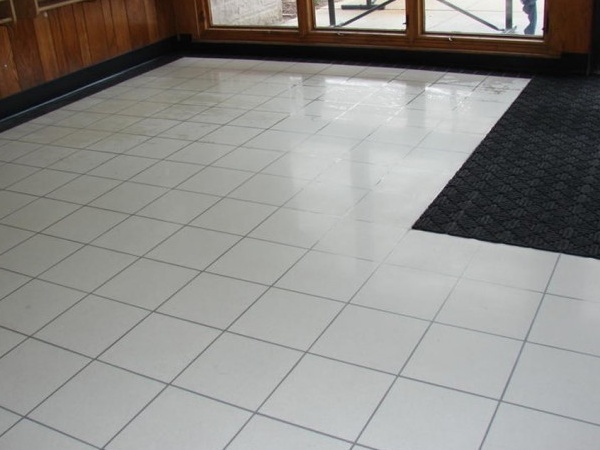 This tile system is: maintenance free, no grout, no coating, slip resistant when wet, and much more. 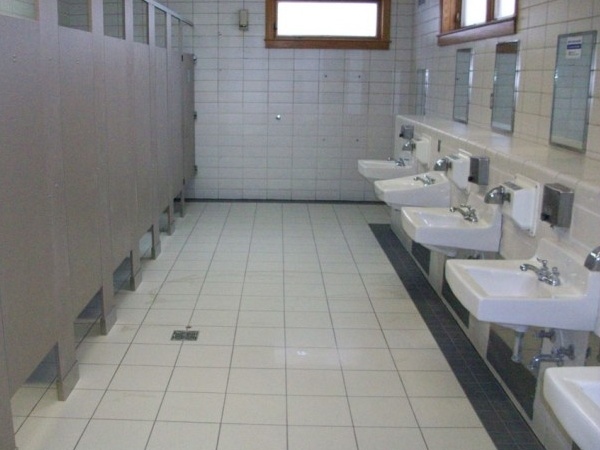 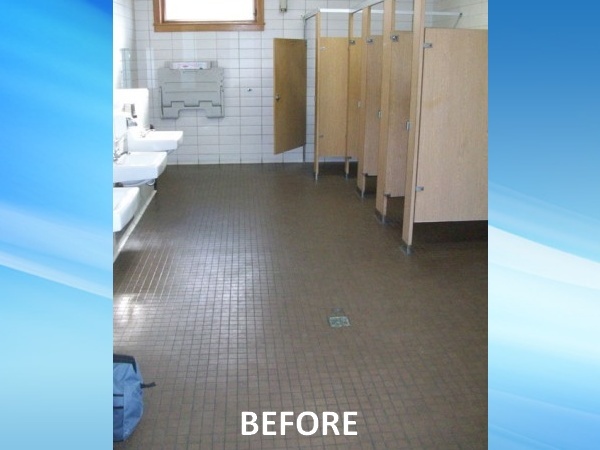 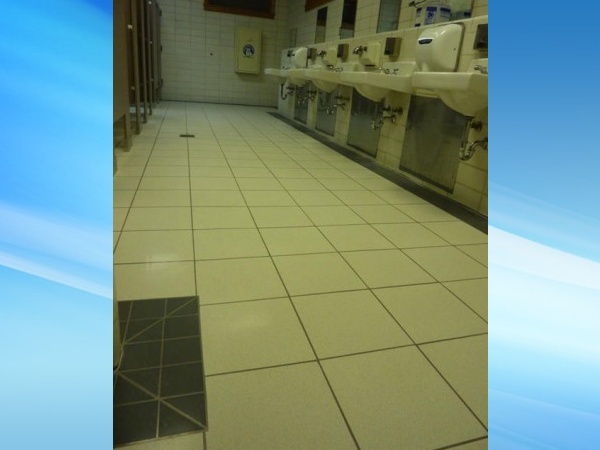 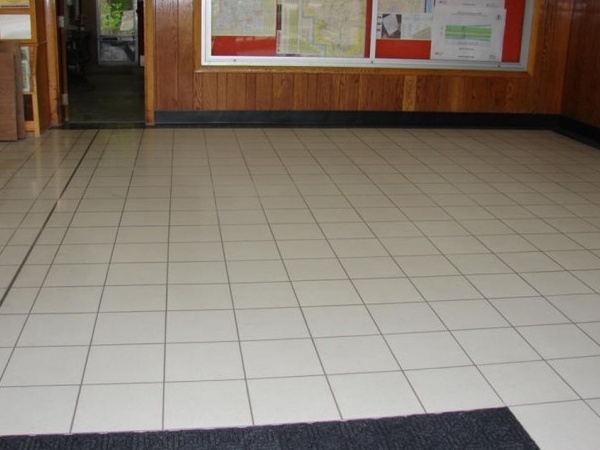 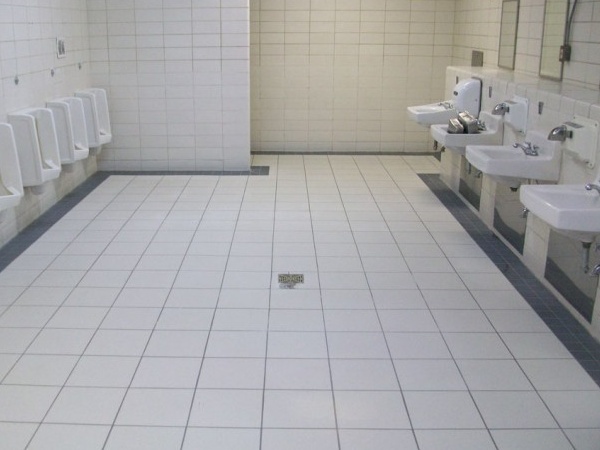 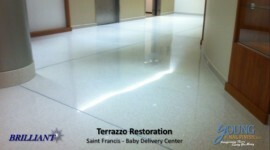 In this project 12″x12″ speckled light beige tile was installed over the existing 2″x2″ tile throughout the entire facility-4 restrooms and lobby. 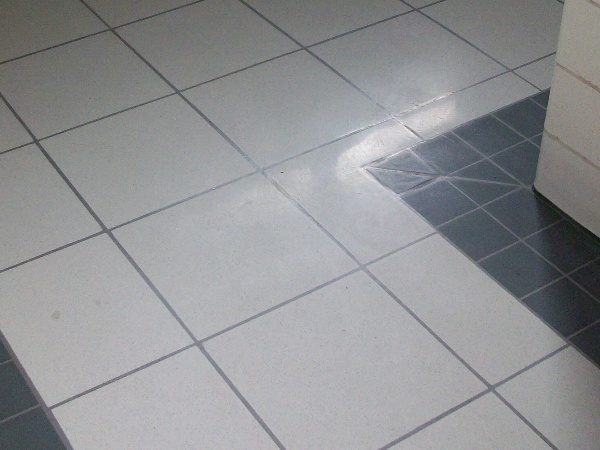 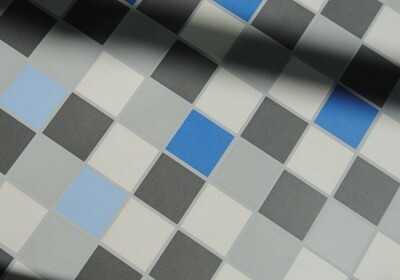 A border was formed with a double row of 4″x4″ black tile.